The entire Pierce family is coming together. A week after the announcement that Cress Williams (Hart of Dixie) will play Jefferson Pierce, the titular hero of the CW's upcoming Black Lightning, Deadline reports that the roles of his superhero daughters have also been filled. In the DC comics, Black Lightning gave up fighting crime to become a high school principal. Nafessa Williams (Code Black) will play the elder Pierce daughter, Anissa Pierce, who is described as a twenty-something daughter who balances medical school with teaching part-time at her father's school. 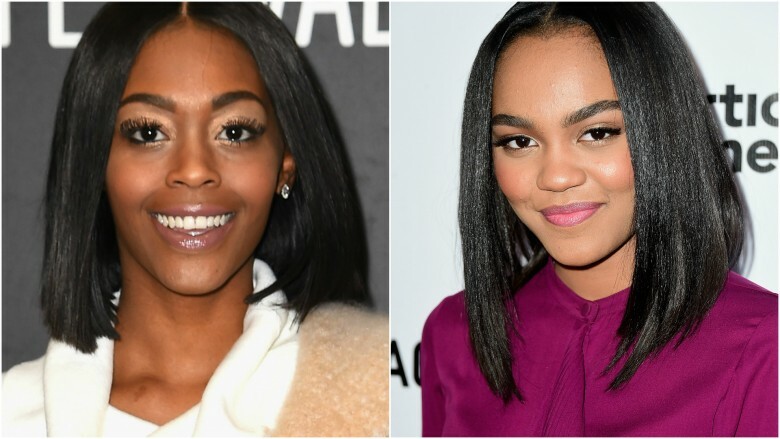 China Anne McClain (House of Payne) will portray the younger Jennifer Pierce, an "independent, outspoken scholar-athlete with a wild streak of her own." In the comics, they eventually assume the identities of Thunder and Lightning. Produced by Greg Berlanti with The Game and Being Mary Jane creator Mara Brock Akil and her husband Salim Akil, Black Lightning will share the same network as the Arrowverse, but it's not yet clear if the show will be set in the same worlds. Here's the official synopsis: "Jefferson Pierce made his choice: he hung up the suit and his secret identity years ago, but with a daughter hell-bent on justice and a star student being recruited by a local gang, he'll be pulled back into the fight as the wanted vigilante and DC legend–Black Lightning." Black Lightning was one of DC's first major African-American superheroes, and character will be one of the first to headline a live-action series. There's still one more big role to be filled: Jefferson's ex-wife, Lynn. While we wait for more details, check out how a few DC superheroes should really look according to the comics.